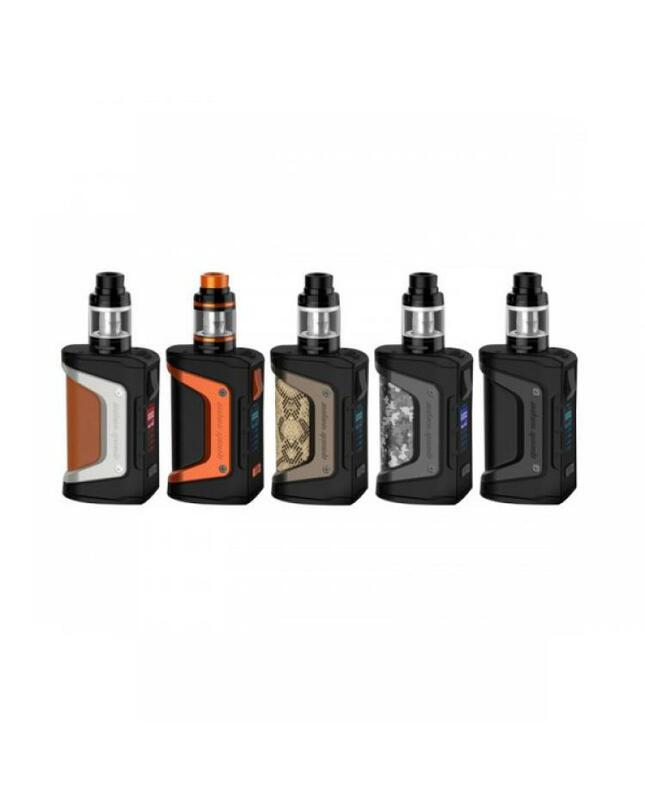 Geekvape Aegis Legend 200W Kit, include aegis legend vape mod and aero mesh sub ohm tank, 5 fashionable colors available. the aegis legend is a stylish box mod designed to be waterproof and shock resistant, powered by dual 18650 batteries and max output 200watts, the built-in newest AS chipset with a colored display screen, fast and stable power output. the new geekvape aegis vape mod with IP67 waterproof design, able to withstand immersion for up to 30minutes and at a depth of up to 1meter. shock resistant, no need to worry about breaking by accident. 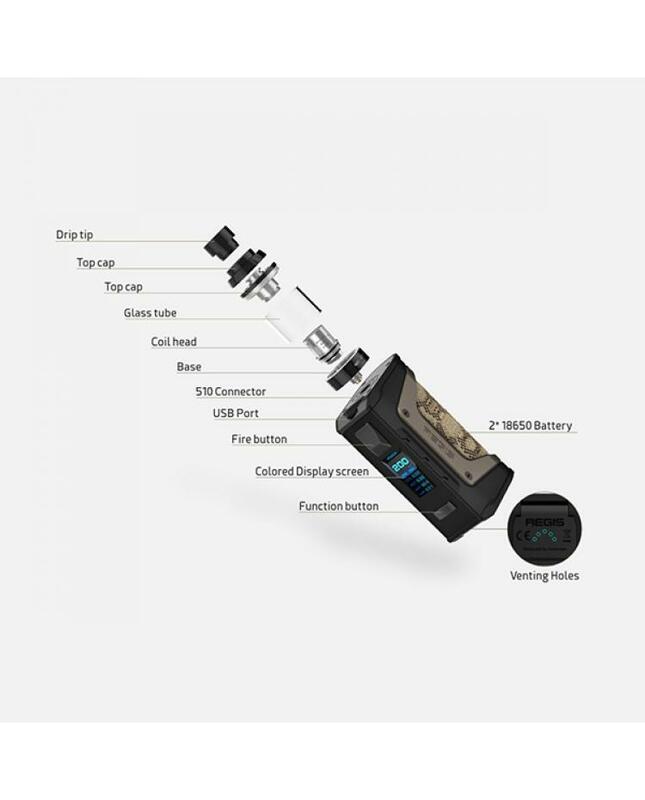 the aero mesh tank can hold 4ml e juice, with quick access refill system, allow inject e juice quickly, comes with super mesh coils, which can effectively enlarge the heating area and provide fast heating and huge vapor production. 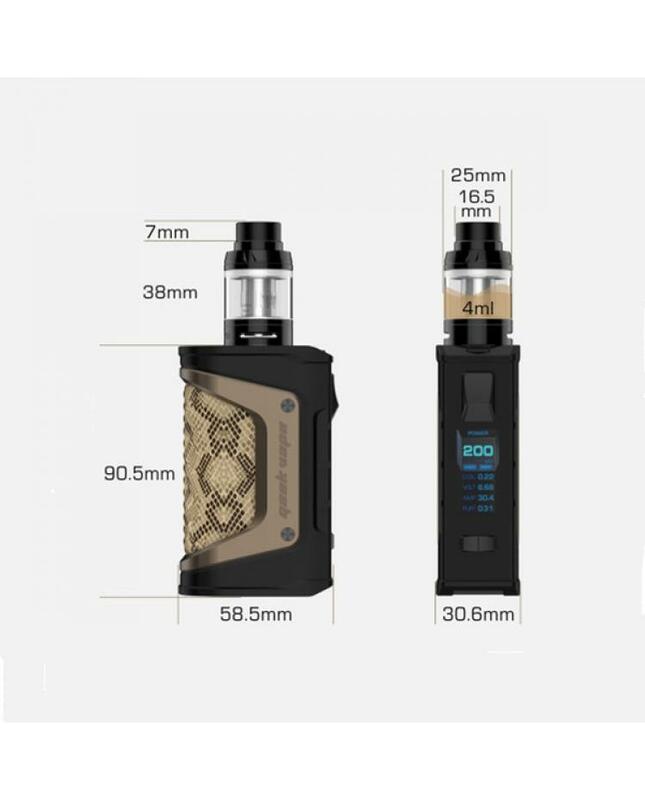 the new geekvape vape kit for those who are looking for a durable box mod with extreme power and portability.